The Wat Thung Lang of Auphur Mae Taeng (Northern Thailand). 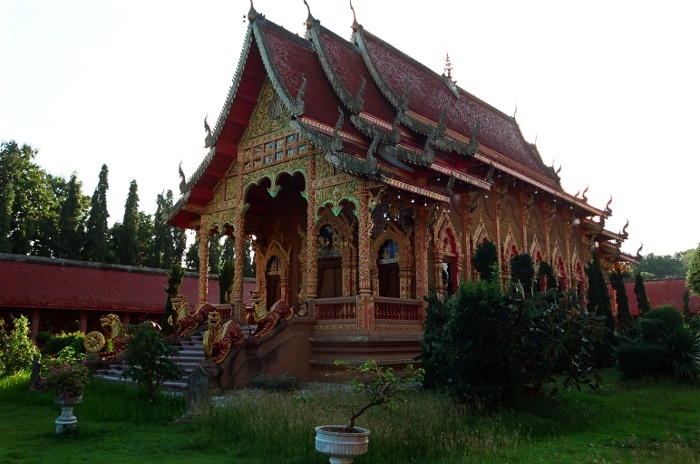 The Wat Thung Lang is located in Auphur Mae Tang a city in Chiang Mai Province. 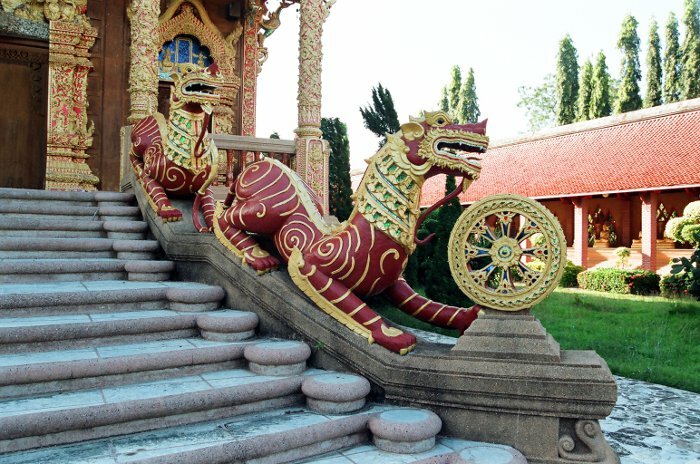 The temple is obtainable by a one hour drive from Chiang Mai city. 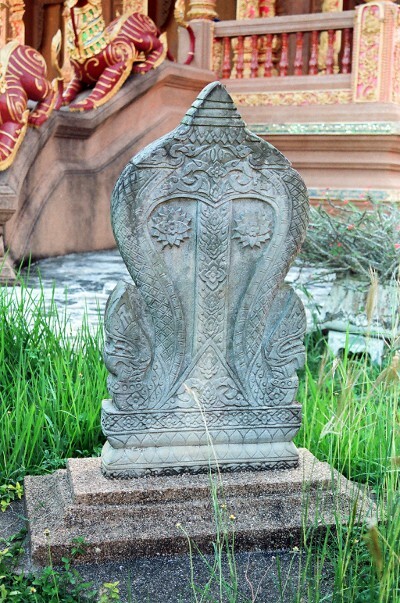 This stone is located in the entrance of the wihaan and indicates that this temple is used to become a Mitra durant, which is a ritual ceremony. This is the Wihaan where the ceremony to become a Mitra. This photo was taken with the sun at the end of the day which explains the low light. 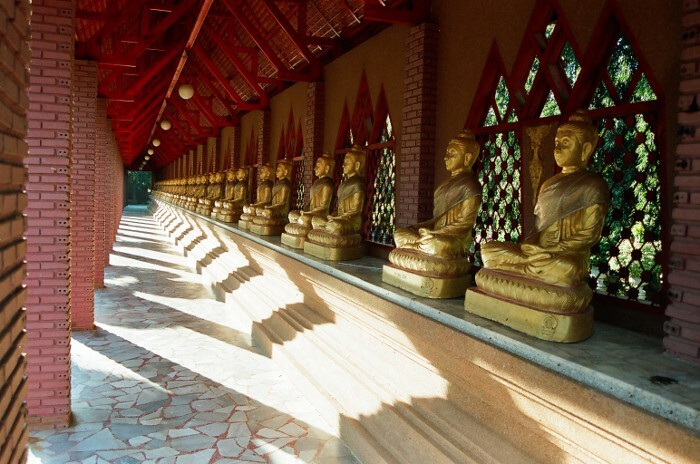 The temple is surrounded three quarters by a wall with Bouddha's statues.